Some of the students tried to jump to safety as the floor gave way. mostly to no avail. 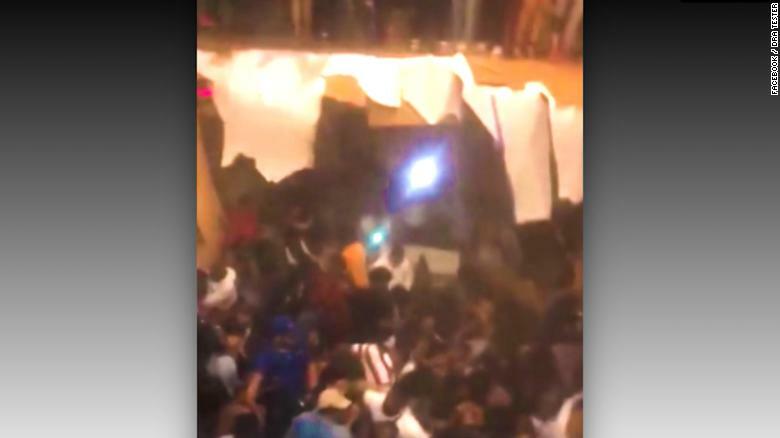 In the video footage posted on social media, people were shouting and dancing before the floor caved in. "They weren't hurt at all but other people were crying, bleeding, it was just a shocking moment for everyone". A private party was being held at the time of the collapse. "Everyone was on the floor and people were screaming and there was wood sticking up from the floorboards". Police have said no one was trapped in the collapse, but it's not yet clear if anyone has life-threatening injuries. The 30 people were transported to area hospitals after officials said Clemson University Fire set up a triage at the scene. Property manager Tal Slann said the floor collapse occurred in a common area within the complex, CNN reported. "I can tell you there was a floor collapse", Slann told the Associated Press.